This single, "I Love Myself When I'm Laughing" is a new song written early this year, but whose roots come from a long love affair with the writings of Zora Neale Hurston. Renowned author, Alice Walker, edited an anthology of Zora Neale Hurston's work, titled, "I Love Myself When I Am Laughing, And Then Again When I'm Looking Mean And Impressive." The anthology's title was taken from Hurston's quote -- her response to American writer and Harlem Renaissance photographer Carl Van Vechten's inquiry about photos he had taken of her. Zora's powerful, poignant, writing has always offered me profound inspiration as a composer and writer. Many of the songs on the upcoming full-length CD will be my own compositions. I hope you will enjoy the music and lyrics here. Joining me on this song is pianist, Ryan Hanseler; bassist, Lance E. Scott, Jr., and drummer, Larry "Q" Draughn. We performed this song on our recent tour in Johannesburg, South Africa for the Harmonica Jazz Foundation. My experiences there were life-changing - meeting the wonderful voices of the young men and women of the Soweto Melodic Voices Choir, and so, so many old and new fans. At Zenzalai Music records, we have decided to donate a portion of the proceeds from the sale of this single to Harmonica Jazz Foundation, to assist in the amazing work they are doing to promote jazz and jazz education in South Africa. The voices you hear on the recording are of some of the fantastic talents of the young men and women I work with at North Carolina Central University, and many are in the NCCU Vocal Jazz Ensemble, which I co-direct. The vocals comprise Courtney Bailey, Jabril Graves, Michael Hanna, Candace Hudson, Samantha Williams and Gabrielle Simmons-Wright. The song was recorded live, March 2011 by Jason Richmond at SoundPure Studios in Durham, NC, and mastered at The Kitchen Mastering by Brent Lambert. LENORA ZENZALAI HELM, vocal musician, composer, lyricist, arranger, teaching artist, former U.S. Jazz Ambassador (1998-99) and MacDowell Colony Composer Fellow is a native of Chicago, Illinois. She was the first African-American woman to graduate from Berklee College of Music with a B.M. in Film Music Scoring/Voice, a degree she earned in just three years. Helm earned her Master of Music degree in Jazz Performance from East Carolina University in Greenville, NC, and in doing so, an induction into the prestigious music honor society, Pi Kappa Lambda and the Golden Key International Honor Society for academic excellence. Other formal studies include time studying Indian classical voice at the Jazz India Vocal Institute in Bombay, India. A sought after teaching artist for arts organizations including Carnegie Hall, Brooklyn Philharmonic, Schomburg Center’s Junior Scholar’s Program, Def Dance Jam Workshop and Young Audiences New York, since 2005, Helm is a Visiting Lecturer in the Jazz Studies and Voice Departments, teaching jazz and classical voice, vocal teaching methods, vocal ensemble performance and jazz vocal ear training, in the Music Department at North Carolina Central University (NCCU) in Durham, North Carolina. At NCCU, she co-directs their highly acclaimed NCCU Vocal Jazz Ensemble. Helm’s many achievements in music have spanned 25 years garnering her inclusion as a subject of biographical record since 2005 in the yearly editions of Who’s Who in America, Who’s Who in American Women and Who’s Who in the World. Helm’s work as a leading vocal musician earned her the accolade “…the voice of her generation...” from Jazziz Magazine. Her performing credits are as follows: In 2009, she released her fifth solo recording entitled, Chronicles of a Butterfly: A Story of Transformation, produced by renowned saxophonist Branford Marsalis and featuring Mulgrew Miller (pno); Doug Wamble (guitar) and Neal Caine (bass), on her own Zenzalai Group record label. Previous solo recordings are Awakenings (1997, Baoule Music), Spirit Child (1999, J Curve Records) two Top 20 releases, Precipice (2002 Baoule Music) and Voice Paintings (2003 MidLantic Records), touted by Christopher Loudon of JazzTimes magazine as “….a multi-hued masterpiece”. 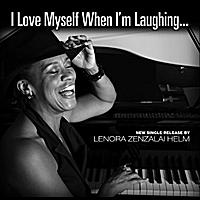 Visible on the discographies of many internationally renowned musicians, Lenora can be heard on noted jazz recordings of saxophonists Dave Liebman, Antonio Hart, and pianists Donald Brown and Andrew Hill. Since 1987, Ms. Helm leads her own group, The Zenzalai Project, playing prestigious international festivals and concert venues and winning grant and commissioning awards for their excellence as an ensemble. Helm earned her traveling and performing stripes on the road with many R&B, Pop and Jazz artists including Freddie Jackson, Michael Franks and South American pop star, Emmanuel. She was a member of the R&B vocal group SEPIA, with founder Marlon Saunders, Arif St. Michael and Rosa Russ. SEPIA’s acclaimed international release Absence of Pain, won critical acclaim from their only release in the late 1990s, and is enjoying resurgence as an underground neo-soul hit on many internet and local radio stations in the United States, London and Europe. Sought after for their dynamic and unique group sound SEPIA can be heard on the recordings of Japan’s Jiro Yoshida, French group, Sixun and many others. Helm cut her teeth as an in-demand vocalist in New York City in the early 1990s on numerous jingle recording sessions and as a session singer and background vocalist on many recordings of all styles, and her voice is heard on a number of radio, television advertisements and commercials. As a Composer, Helm was given the nod by jazz artists pianist Andrew Hill, and saxophonists Wayne Shorter and Branford Marsalis to record her versions of their compositions penned with Helm’s lyrics, garnering critical acclaim. Composition awards include 2007 Encore Award from Chamber Music America, to present her composition commissioned in 2005, the jazz suite, Journeywoman: A Work in Progress. The creation of Journeywoman was a result of being selected as a recipient of the prestigious 2004-5 Doris Duke Jazz Ensembles Award for jazz composers, administered by Chamber Music America and funded by the Doris Duke Charitable foundation. Other organizations recognizing her work as a composer include Meet the Composer and a coveted Composer Fellowship from the MacDowell Colony, the oldest artist’s colony in the United States. As a film music composer, notable film music credits include Ms. Helm’s work featured in the film After Life by writer/director Lana, previewed and awarded in 2007 at the Arizona Black Film Festival and the Village D Cinema festival in Lisbon, Portugal. Helm is a SESAC writer and her publishing company, Baoule Works Music Publishing, is a SESAC publishing affiliate. True to her heart’s desire to support independent artists and to contribute to the arts education community, and notwithstanding her efforts of carving out her personal music career goals, she finds time to express her entrepreneurial pursuits in music. She founded the The Artist Boot Camp, a weekend workshop and resulting community of workshop graduates and music industry coaches, designed to equip independent artists with the one tool that has proven to foster self-sufficiency and career sustainability. Lenora is writing her first arts education book, a career book for entry level teaching artists entitled Start Your Own Edutainment Business: Making a Career as a Teaching Artist. This exciting venture was borne of her well received workshops, ‘How to be a Teaching Artist”, given in many colleges and universities, as well as at music industry conferences and festivals. Her highly successful edutainment programs, Blues Women; Armstrong, Ellington & Ella; the Real McCoy and What is Jazz? were performed to several hundred K-12, family and adult audiences and school residencies around the country. These programs are the genesis of the performance series: Great Artists, Past and Present. She's done it once again! Lenora has this way ... this style about her and I heard it even more in "I Love Myself When I'm Laughing". Phenomenal vocals, outstanding, driving bass and a song with a message that anyone can be uplifted by. Love it!